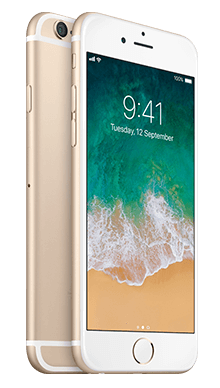 If you're looking for an iPhone that comes equipped with many of the great features of the newer handsets, without the price tag, then the iPhone 6S may be exactly what you're looking for. When you’re looking for a new smartphone we’d confidently bet that you’d considered an iPhone; with so many fans across the globe, Apple is dominating the market and it's pretty hard to shop for a new handset without encountering that famous little fruity logo. You may be put off, thinking that in order to get an iPhone these days you need to spend all of your savings on one of the more recent handsets. That, fortunately, is not the case; there are still so many great offers on older iPhone handsets, and just because they were released a few years ago doesn’t mean that they are out of date or irrelevant by any means; the older iPhones still hold their own when pitted against some of the newest high-end smartphones today. The iPhone 6S followed the extremely popular iPhone 6 when it was released in 2015, and while it may not look too different from the older handset, there are some significant upgrades inside that may make all the difference to you if you’re on the hunt for a new EE iPhone deal. The iPhone 6S didn’t differ too much from the previous iPhone 6 model, which, to put it simply, revolutionised the design of the iPhone. It features a 4.7inch screen encased by a body which is just 7.1mm thick, with an aluminium frame and brushed metal rear panel. While the 6S is by no means a ‘small’ smartphone, it’s thing build and minimalist design make for a handset that still feels exceptionally light and compact. It doesn’t just look good; the iPhone 6S comes reinforced with ion-strengthened glass and oleophobic coating, but we would still recommend investing in a protective case and tempered glass screen protector, just to be on the safe side. If style is your main concern, then you need not worry with the iPhone 6S. The phone is available in four diverse colour options, so there’s something for everyone. You can choose from the original space grey, gold or silver, but the iPhone 6S was also the first Apple handset to have the rose gold offering, which proved to be exceptionally popular. 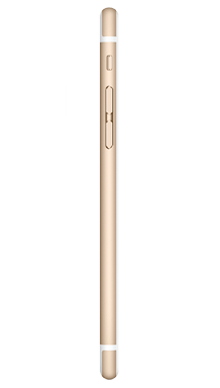 The screen quality on the iPhone 6S also mirrors that of the 6, with a 4.7-inch display featuring a 750 x 1334 resolution with a 16:9 aspect ratio. Colours come across with balanced highlights and shadows and are equally vivid and natural where appropriate. It may seem odd to some that Apple didn’t give the screen too much of an upgrade, but when you consider that Apple stuck with the same screen spec right up to the iPhone 8, its certainly not something that should deter you from going for the iPhone 6S. If gaming is your thing then you’re sure to appreciate the fantastic A9 processor which delivers great quality graphics for a top class experience whatever style of game you’re enjoying. This is where Apple really showed that the iPhone 6S can hold its own when it comes up against competitors in terms of viewing experience. When the iPhone 6S was released in September 2015, its audio quality was widely regarded as one of the best, and it still sounds great these days too. There’s no support for hi-res music, but this isn’t a surprise, and the overall sound is delivered well balanced, rich and dynamic. There’s good quality bass, treble and even in the mid-tones for a fantastic audio experience. One of the benefits (for some) of going for an older iPhone model is that it still retains the classic headphone jack, a feature that is controversially missing on some of the newer iPhone models. This means that listening to your favourite tracks is as easy as plugging in your headphones, and you don’t need to worry about investing in any Bluetooth headphones. Where the 6S does indeed mirror the iPhone 6 in many areas, it does feature a significant upgrade when it comes to the camera, with a 12MP setup round the back to deliver improved photographs. Colours are much brighter and details are far sharper than we saw on the older Apple handsets. The upgrade doesn’t stop with the rear camera though, there are also big improvements with a jump from 1.2MP to 5MP on the front shooters. This means that any selfie addicts out there will be satisfied as their shots come out at a much higher quality. Apple was the first manufacturer to nail the whole ‘personal assistant’ theme with their smartphones, and with the iPhone 6S, you’re never without the trusty Siri to assist you in your day to day life. Siri is easy to use, reliable and a great convenience; particularly if you’re driving or find yourself in a bit of a muddle. 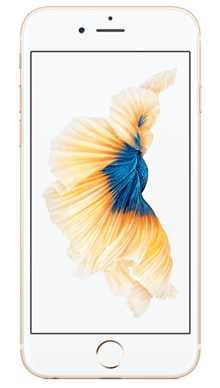 There’s no shortage of space with the iPhone 6S, and users can choose from 16GB, 32GB, 64GB or even 128GB of internal storage depending on what's best for them. There’s also 2GB of RAM on board, so you don’t have to worry about storing all of your favourite apps, photos and files on your iPhone 6S. We’ve already briefly mentioned Apple’s very own A9 chip, and aside from those impressive graphics, it delivers a speedy and ultra-responsive smartphone experience which, when combined with the classic Apple interface, makes for a handset that is extremely easy to use. The battery life is always a talking point with iPhones. While newer iPhones may feature a more powerful battery cell, we always think that if you look after your iPhone 6S battery correctly, then you really will get the most out of it. With that being said, if you do find yourself attached to your phone all day, it may be worth investing in a portable charger. Even though the iPhone 6S isn’t the newest smartphone on the block, it is still a fantastic handset, particularly if you want the Apple experience without forking out for a more expensive model. The look is practically the same as that of the iPhone 6, but that’s no bad thing as the minimalism and classy build make for a premium looking handset. The addition of a rose gold colour option adds a little extra bonus for anyone who wants to go for something a little different. Both the viewing and audio experience are fantastic and combined make watching media or listening to music a joy. The camera setup features significant upgrades on both the front and rear, and this is where the 6S really stands out from the older handsets. Photographs are notably improved, and if you’re a fan of your smartphone photography, it really is worth going for the 6S over the 6. 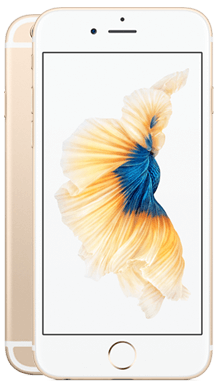 The iPhone 6S offers a reliable and fast smartphone experience thanks to the A9 chip, and while battery life may not be as great as some newer smartphones, it is still more than acceptable with moderate use. 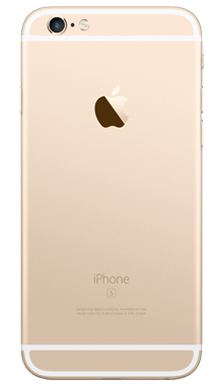 At Metrofone we want to make sure that you get the best possible iPhone 6S deal, which is why we’re constantly on the hunt for the best iPhone 6S EE offers. If you think that the iPhone 6S is the handset for you, but you have some questions, or if you’d like to discuss a specific deal more closely, then be sure to call one of our great customer service team today, on 0333 900 1144.